Everyone knows that the file browser that comes with Windows is a bit on the basic side, so if you fancy yourself as something of a power user, it may be worth checking out Directory Opus. Recently upgraded to a Windows 7-friendly v9.5, the feature-rich, commercial file manager enjoys a fine heritage dating back to the days of Frontier Elite and Sensible Soccer. That’s right – this program has been around so long that it first debuted on the Amiga computer system way back in 1994! We were big time users of Directory Opus back in the day (that’s ‘DOpus’ to old school Commodore aficionados), but like many others we reluctantly drifted on to other platforms when the beloved OS went through its painful and protracted death throes, courtesy of some hideous management decisions. Although development on the Amiga version finally ground to a halt in 1997, work started up on a Windows version in 2001, so users keen to acquaint themselves with its famed ultra-configurable and powerful interface can now check out Directory Opus on Windows. 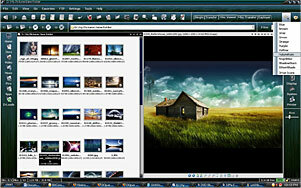 Basically a super-turbo charged file manager and Windows explorer replacement, DOpus lets you set up your workspace exactly how you want it, with options galore for setting up user-definable file display views, customisable toolbars and menus with tabbed folder views and file trees. 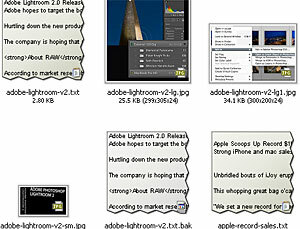 We felt the love for the tabbed folder views immediately, with a neat row of tabbed windows reducing a plethora of open windows on our desktop. The love kept on giving too, with the built in ZIP and RAR clients immediately impressing us with their ability to seamlessly open and view the contents of compressed folders. It did such a good job of it that we immediately made it our default ZIP client. Nice one. It was the same story with the built-in FTP application. Packing a site manager and handy ‘quick connect’ option, we found it so fast and easy to configure that it instantly elbowed out our long serving dedicated FTP client, CuteFTP. And when we say it was fast, we mean fast: it ran rings around our old FTP program, connecting and transferring at an impressive rate of knots. We were also wowed when we plugged a memory card into our USB card reader. Instead of the usual finger-drumming wait while Vista rumbled around trying to find the folder’s contents to display, Directory Opus brought up the card’s contents near-instantly. 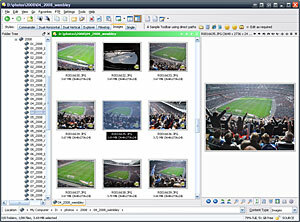 Viewing images was a doddle too, with the advanced, built-in image viewer (with support for RAW images) quickly bringing up thumbnails, giving the option to view image directories as slide shows, thumbnails, film strips or single images. For quick image edits – like resizing and rotating – there’s no need to leave the program, and there’s also geo-tagging support, which can grab the GPS co-ordinates info included in an image’s EXIF information and present the shooting location on Google Earth. 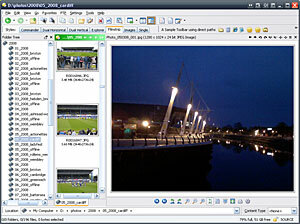 Moreover, photos can be batch-edited and converted into different file formats, and then exported via email, FTP or even sent directly to sites like Flickr. If, like us, you’re using the Google Desktop Search tool to rummage through your desktop’s files, you’ll like the fact that you can search from within Directory Opus, and there’s a ton of useful file utilities onboard like advanced search with wildcard, duplicate finding and sophisticated rename functions. Nice touches abound too – like the way that DOpus shows the first paragraph of text files in the icon. There’s also downloadable themes and skins, and for the more technically minded, the program also offers scripting possibilities, although these looked devilishly complicated to our eyes and clearly not for the feint of heart. 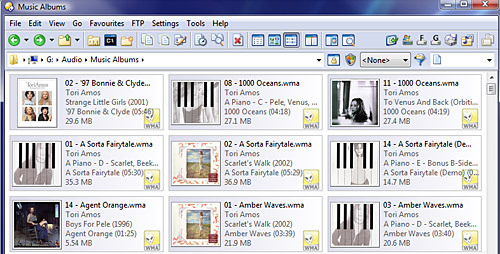 Although there’s no shortage of free and shareware file managers available for the Windows Platform (including Free Commander and XPlorer2), once you get used to working with Directory Opus, it really seems worth the extra outlay. The program can seem a bit complex at first – a situation not helped by an exceptionally dry and dour manual – but it’s really worth persevering – the more you use it, the more you’ll be amazed by what it can do. After just a few hours use, we were completely sold on Directory Opus and it continues to surprise us with unexpected features and useful shortcuts. At $85 (Australian Dollars – roughly £40 in good ol’ British pounds), Directory Opus is not the cheapest file manager, but we think it’s the best, and with a free download offering a 60 day evaluation period, you’d have to be as mad as a drunken wallaby not to give it a go. The program is available in 32 and 64 bit versions for Windows and ca be downloaded here: GPSoft. DOPUS started in 1986 -didn’t quit for Amiga till 2004 -even then not much needed to be done.